Its light yet effective weight makes it workable with less effort and its superb handle configuration makes it go for a lifetime..
Another important and valuable addition to the light series that is easy on the user which can be continuously used over a prolong period of time very effortlessly. 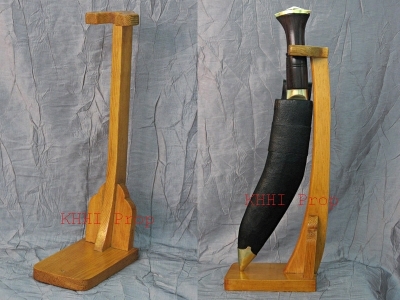 KHHI, in its vast product range, realizing a vacant for a light and sleek utility kukri that is powered by strongest fixtures and soundest features that can be used as a main or back up knife invented the “Forestman (SLEEK)” khukuri for all the outdoor and even indoor works that one would come across while out there. 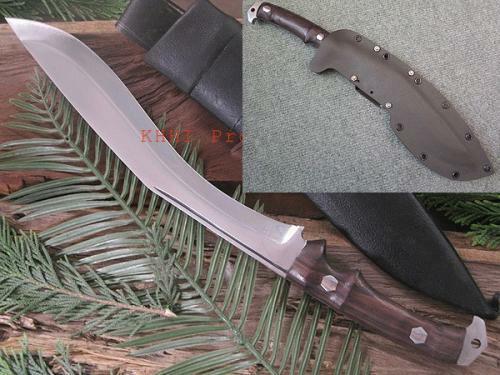 The minimum yet effective weight of the kukri makes it workable with less effort and its superb handle configuration makes it go for a lifetime. And now with the modern KYDEX sheath the knife has become even more practical, effective and thus more value added. The Forestman (Sleek) is definitely one heck of a all-out all-purpose utility knife created to please a user and make the creator (KHHI) proud. 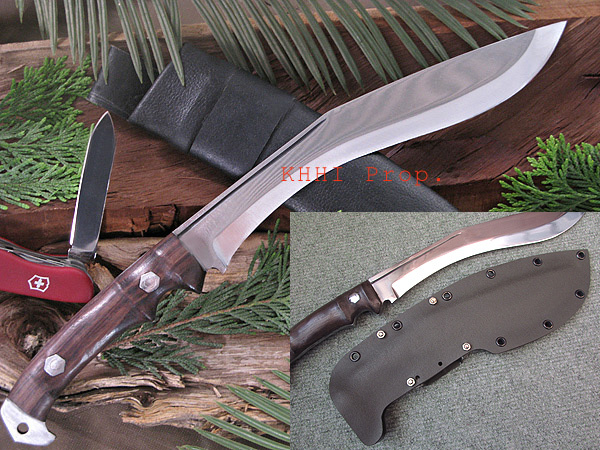 Here are some major features of this kukri knife. Kydex sheath –for easier and quicker draw, will last a lifetime and even for watery conditions. Handle size: 5 inches approx.